Balance is one of my favorite oils because it has such amazing properties for emotional health. I have not used the oils for emotional health as much as I do for immune and health support but balance was the oil that convinced me that the oils NEED to be used for emotional support… daily! 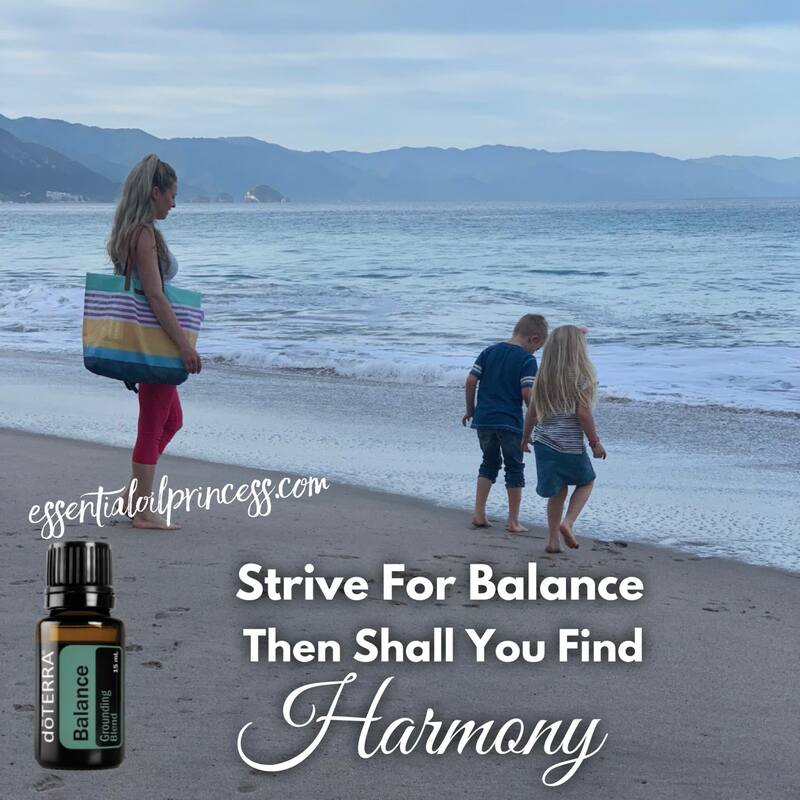 Created with the purpose of grounding emotions, doTERRA Balance is formulated with emotionally beneficial essential oils that work together to create a sense of calmness and well-being. doTERRA Balance essential oil blend has a variety of uses and benefits that can be obtained both aromatically and topically. When applied to the skin or diffused, doTERRA Balance can ease anxious feelings and create a soothing and calming environment—encouraging strong relaxation. The aroma of doTERRA Balance is sweet and woody and is the perfect fragrance for promoting feelings of balance and tranquility. Infused with Spruce, Ho Wood, Blue Tansy, Blue Chamomile, and Frankincense essential oils, doTERRA Balance is the perfect blend for stabilizing emotions. **I suffer with hormonal imbalances due to ovarian cysts. Prior to learning about doterra, I had 2 good weeks per month and 2 where I felt like a crazy woman. When I discovered Serenity in combination with Balance, it was like I could finally breathe easy again. No more worries about the next emotional rollercoaster. One drop of each on the wrists, deep inhale, and several minutes later, I felt completely zen and at ease. **I was struggling with mood and hormone levels after I had my second baby… really struggling. Serenity was a huge life saver. It allowed me to sleep deeply and peacefully and get rest (needed when you have a newborn and toddler). It also helped me feel so much more peaceful and combined with Balance helped me feel like I could do it. I could make it with 2 babies. Totally saved my sanity and my marriage. Buy Serenity Get Balance Free!